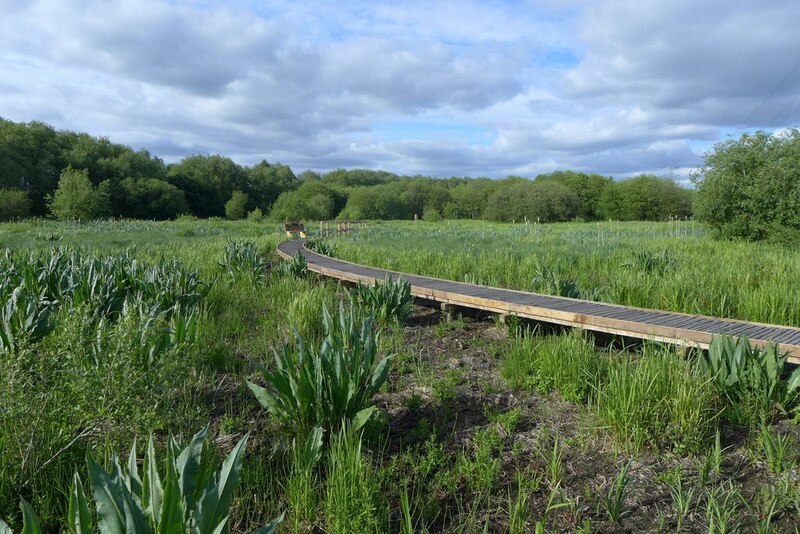 After a heathland Bioblitz, it’s time for a change of scene with a walk in Guildford’s Riverside Park (sounds posh, doesn’t it! 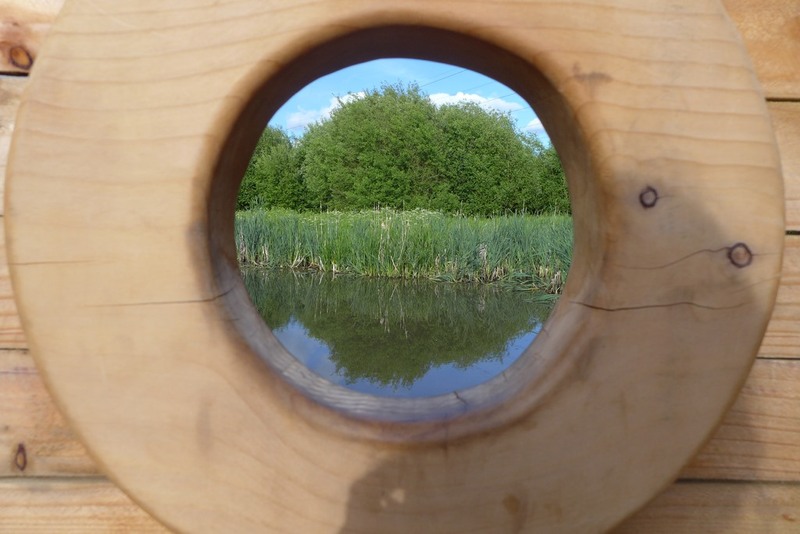 :D) , a lovely nature reserve maintained by the local borough. 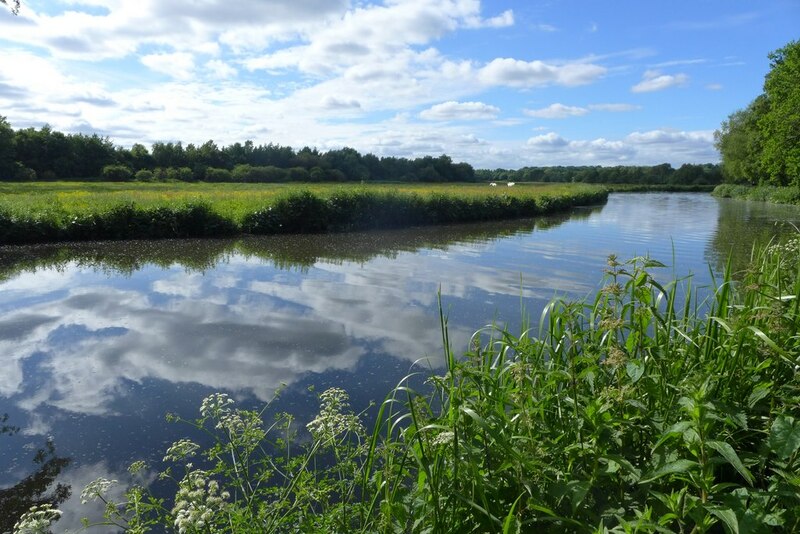 The 80 hectare park is made of four different habitats : meadow, wetland, woodland and open water, with the river Wey weaving through it. 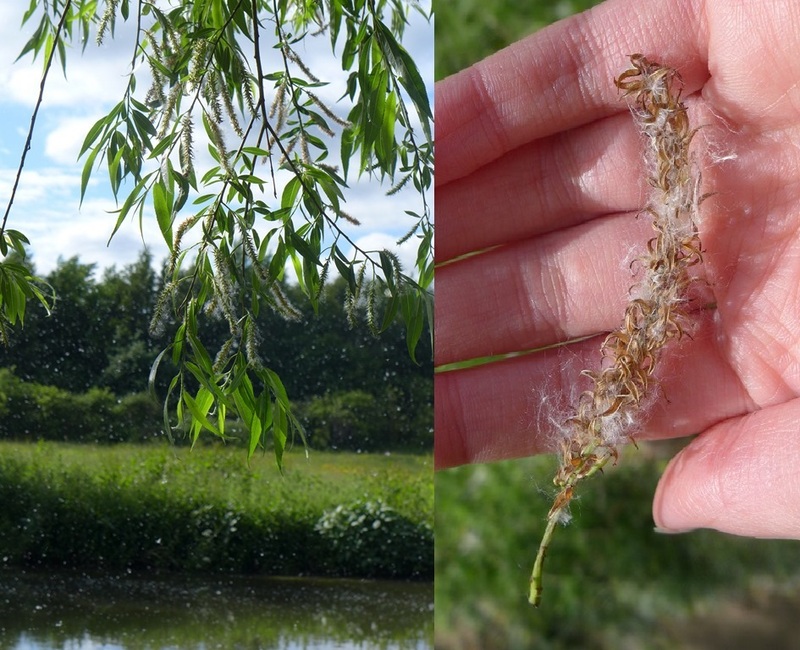 …which is in fact willow (Salix sp) seeds and their cottony fibers! 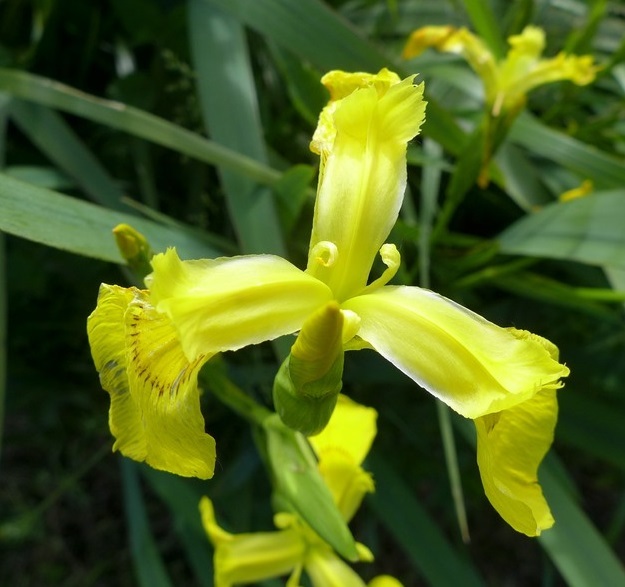 At this time of the year, the banks of the river are teeming with wet-loving flowers, such as the striking Yellow Iris (Iris pseudacorus) or the Hemlock Water-dropwort, a sweet-looking but poisonous umbellifer (Oenanthe crocata). But it was also a nice opportunity to try out my new compact camera on insects – and I must say I’m not disappointed : say hello to a hoverfly! 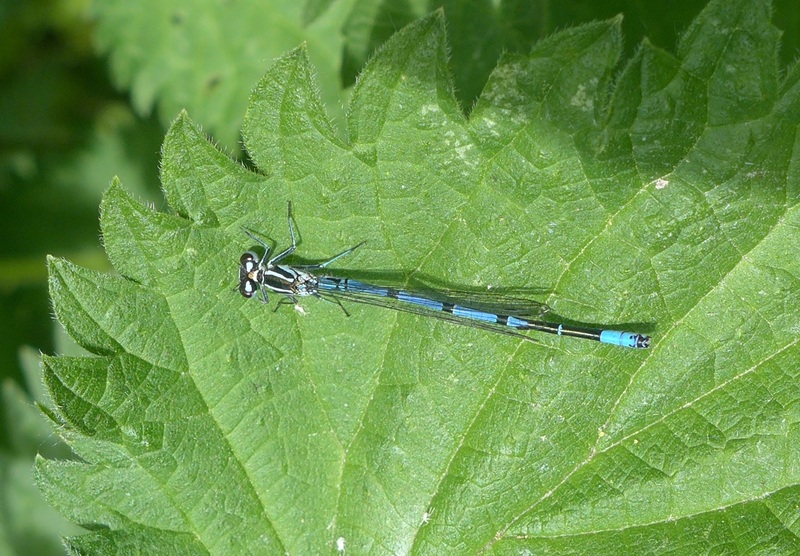 Of course it’s a riverside reserve, so dragonflies and damselflies are hard to avoid : here the Azure Damselfly (Coenagrion puella) perched on a nettle leaf, and the Banded Demoiselle (Calopteryx splendens). It does not appear “banded” to you? 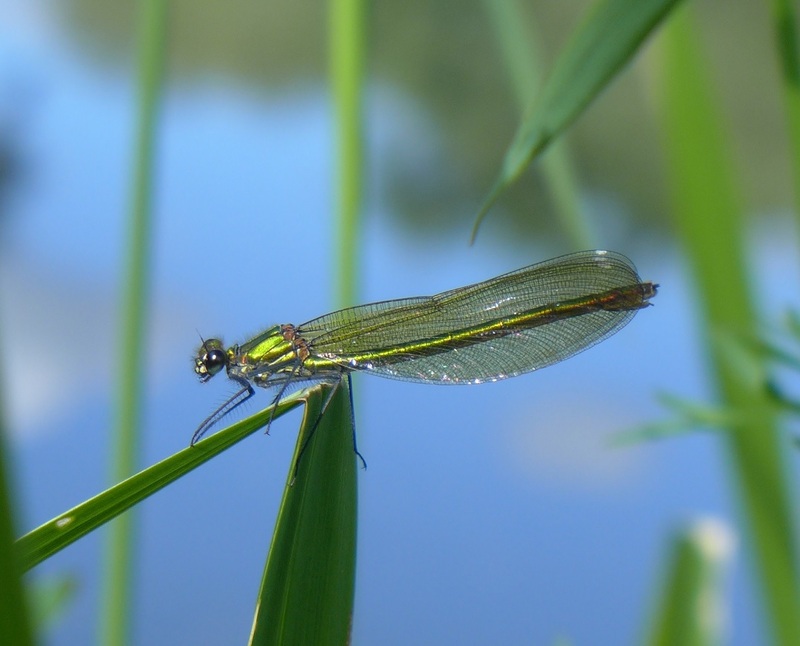 Only the male shows a dark “band” on its wings, the female instead has a gorgeous emerald green colour. 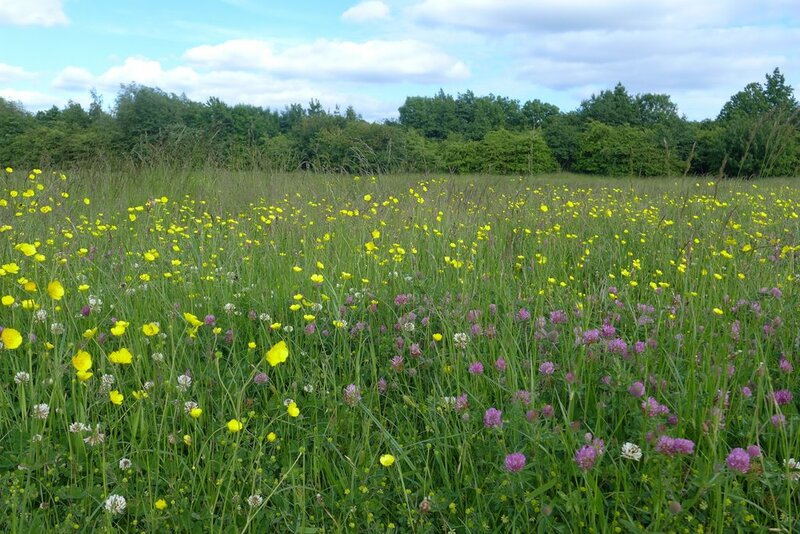 Turning away from the river path, we arrived in the meadow area of the reserve, where the yellow buttercups and trefoils mix joyously with the pink and white clovers. Interestingly, the lake and meadow were created by gravel extraction during the construction of the nearby A3 highway…man-made diversity! It looks a beautiful place. Also, as you know many more plants than I do and the places you visit in Guildford seem lovely…. 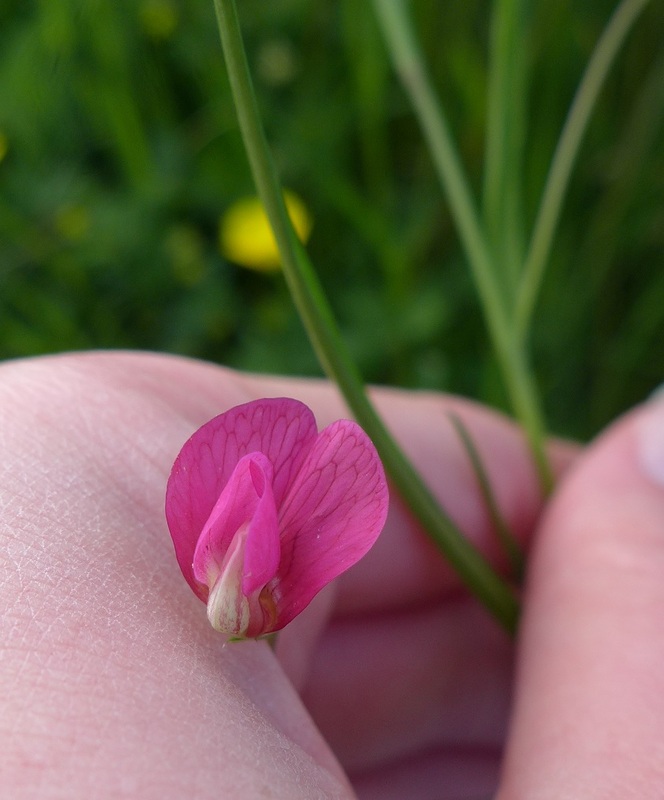 what would you think to meeting up one day at a reserve that you know, and do some plant and flower ID? Hmmm… I’m not sure it was that – the contrast between the wings and body colour was much greater, and the body was more blue than green. It may have been the light though, that made it seem different. Good! 🙂 Maybe we can sort something out later this summer? Looks like heaven (apart from the noise). I’ve seen the Hemlock Water-dropwort recently and not known what it was. 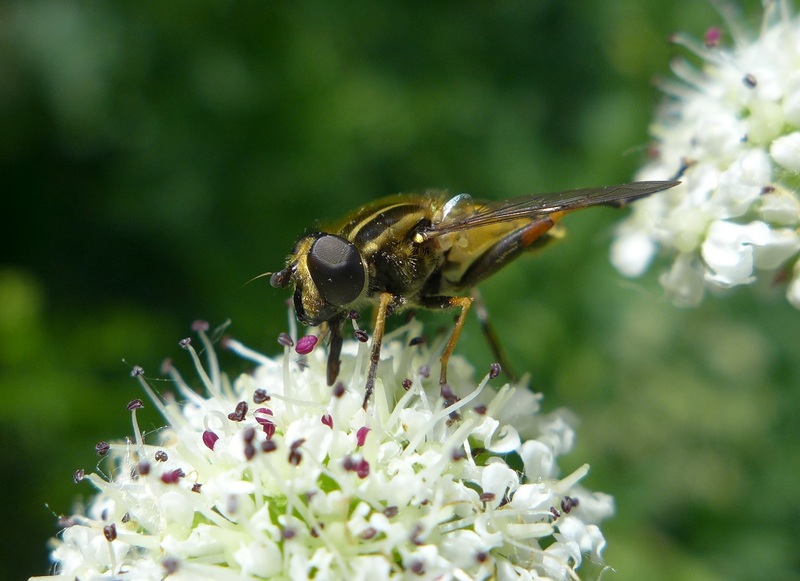 Impressed by the sharpness of the hoverfly’s eyes in your photo. 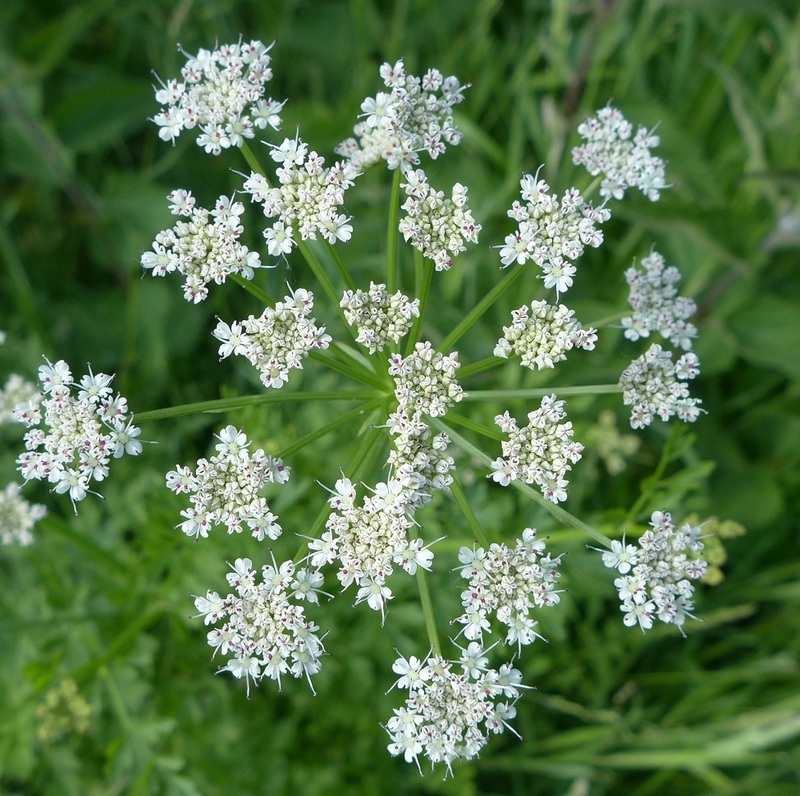 The Hemlock water dropwort looks like many white-flowered umbellifers at first sight, but it has pink-purple and very long stamens, which is not that common and helps with the ID. 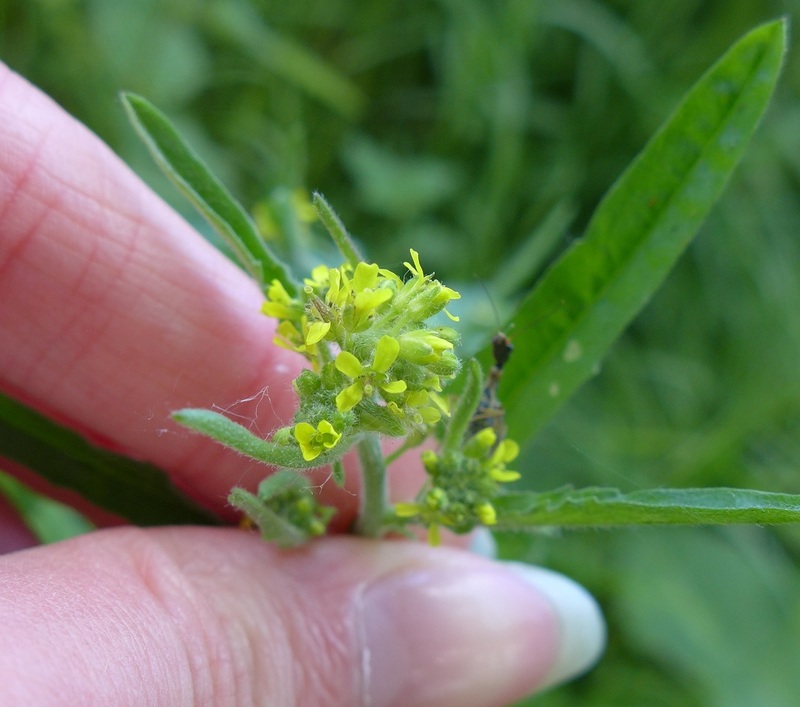 A very poisonous plant from what I’ve read! You really bring this tale to life with your words and photographs! Thank you. It’s personal for me because my childhood home was in Send. 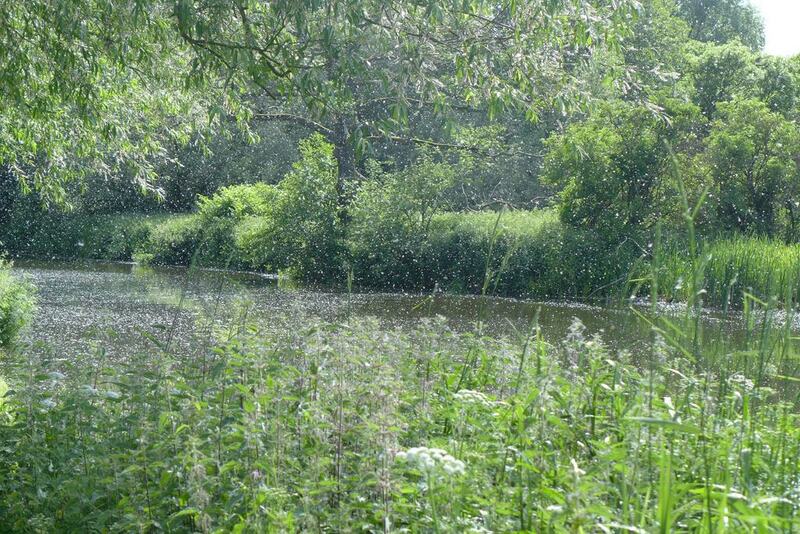 I remember the Wey as an exciting place with ‘white water’ (a weir) and minnows in its shallow edges. Great clods of white foam floated downstream. I was too young to criticise the grown-up world but found out later that the Wey was badly polluted in those days (1970s) and since has become a success story of habitat cleanup. Iirc there’ve been sightings of otters in the Wey – is that so? PS Please may I use some of your photographs on my own blog? It’s not for profit as you know. I’d acknowledge you as the artist unless you don’t want me to do that. I have permission to use photographs by Finn Holding at the Naturephile and from Theresa Green at Everyday Nature Trails, and from scientists whose permission I ask after reading their papers. I also use the Centre for Bioscience Imagebank http://www.bioscience.heacademy.ac.uk/imagebank/ All of this is because, quite frankly, I’m no great photographer! The first photo I’d like to use from you, if permitted, is one of a willow branch. I’d also be be grateful for permission to use other photos – right now I’m looking for one of spinach. Feel free to use my pictures (I tend to post them on my Flickr page as well : http://www.flickr.com/photos/jellyfishy/), I like knowing that they can be of use to someone! There are loads of great photos on your Flickr page. Thanks for permission to use them! I’m not used to Flickr so perhaps I’m missing a few things. Is there a caption to each photo? Is there a search engine for different photo topics? In Flickr there is a search box in the top right hand corner, you can use a keyword such as latin or common name. A dropdown list should appear, where you can select either “everyone’s uploads” or “this Photostream”. I’m trying to tag and name correctly all of my photos, but it’s an enormous job, so unfortunately many are not named yet! I think the Wey has had a serious clean-up since the 1970s (like probably many rivers in the UK and in the rest of Europe). It’s such a nice place to wander along now! Check the blog of the Surrey Wildlife Trust Wetland Landscapes Officer : http://hedgiejim.wordpress.com/ , he’s got some info about the recently spotted otters. I’ve now enjoyed that post, and followed that blog.